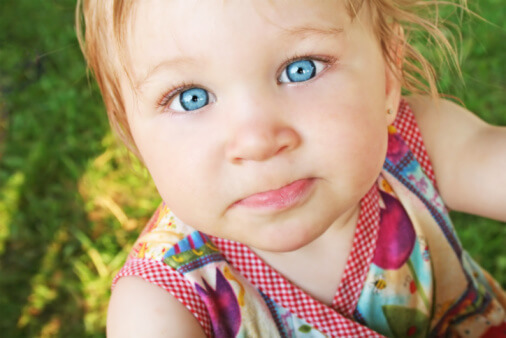 How and when sun damage occurs to children’s skin may surprise you. Many parents know that in the United States alone more than 1 million skin cancers are diagnosed in adults each year, resulting from damage to the skin during childhood. Many of these cancers are deadly melanomas. Over the last thirty years, the frequency of melanoma has more than doubled, even though sunscreen use has increased. About 80 percent of our total lifetime sun exposure happens during childhood. But there are two key ages to pay extra attention. The first of these is the toddler years. Sunburns and damaging tans more than double during a child’s second summer, according to a study in the August 2004 Archives of Dermatology. The surprising bit is that this occurs even though total hours of sun exposure stays the same, and the use of sunscreen triples in the toddler years! How can this be? The use of other sun protection efforts dropped, including strategies such as hats and other sun-protective clothing, shade, and non-peak hours for sun exposure. Many parents think that sunscreen alone is enough. Another key age to pay special attention is when your child is 9 to 12 years old. Sunburns are most common at that age when kids are off enjoying activities without their parents. About 2/3 of American children do not get adequate sun protection. Some gifts we give our kids thrill for the moment, but soon fade. They are often discarded or broken soon after we give them. But whether it’s preventing wrinkles or skin cancer, sun protection is a great way to give your children healthy skin and a healthy complexion for years to come – a gift they will appreciate more with each passing year.